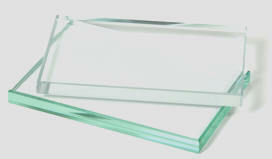 Picture frame glass must be shipped by motor freight or picked up at our warehouse. Please call and we will get the best possible price for shipping to your location. We ship many items by motor freight, so we have many shipping companies that give very large discounts. Please call 800-334-9060 to place your order. Artist Choice glass protects without sacrificing the clarity of your artwork. Let the true colors of your framed project be seen clearly without the green tint of ordinary glass. With Artist Choice Ultra Clear glass you are assured of top clarity with true color transmission. Clear and Non-Glare glass are both 2mm thick. The glass is made in the United States by one of the largest glass companies in the world. Glass is shipped by motor freight companies on a pallet. For many commercial locations from Hendersonville, NC to Florida approximately $150 per pallet for 5 boxes of glass. The more boxes the cheaper per box. Buy 4 boxes of either Clear Picture Frame Glass or Non Glare picture frame glass and get one box free (of equal or lesser value).